Over the weekend, I went to Moonlit Sanctuary and one of my favourite animals there was the dingo. These beautiful animals can grow to about 150 cm long from nose to tail. The males are larger than females, and Australian dingoes are larger than those born in other parts of Asia. Even though they look very different, dingoes are actually a sub-species of the grey wolf. Dingoes are excellent hunters and can run for long distances without tiring. They catch and eat a range of animals, including kangaroos, wallabies, wombats, birds, reptiles, rats and rabbits. Even though farmers don’t like them, they don’t often kill livestock such as sheep or cattle. As the top predator of Australia, they are a very important part of the ecosystem. In areas where dingoes live, the numbers of feral cats and introduced red foxes are much lower, which makes them very helpful for small marsupials that are often killed by these animals. Dingoes are found throughout the deserts, forests and mountain areas of Australia, Thailand, Papua New Guinea, Indonesia and in some other south-east Asian countries. They are considered vulnerable to extinction due to breeding with feral dogs and shooting and poisoning by farmers. 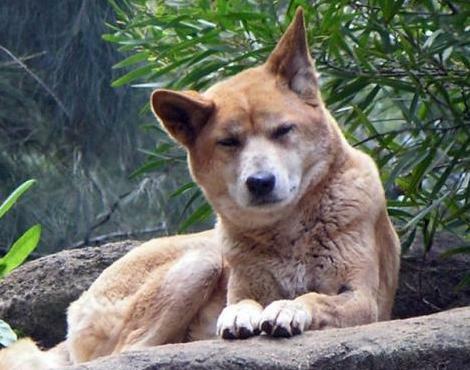 Are there any other interesting facts that you would like to share about dingoes? These are really cute! They look a lot like pet dogs!